One of Barbara Halverstadt’s top priorities is to convince an airline to add a direct flight from Jacksonville International Airport to Los Angeles. “We want to make sure that airlines understand what we have to offer,” said Halverstadt, manager of development and marketing for the Jacksonville Aviation Authority. Starting or cancelling a flight is dependent on several factors, including passenger demand for a flight and the potential for profit, one airline executive said. Direct services to Puerto Rico and Denver from the Jacksonville International Airport has started in past year by JetBlue Airways Corp. and Southwest Airlines Co. after JAA made the case to the airlines. A key factor is the cooperation and support from the corresponding city that JAA is working to get service to, but airline executives say the success of any flight depends on the number of people willing to pay for it. “These days we’re just happy when someone wants to fly us,” said American Airlines Spokesman Ed Martelle. Support from top city officials can help Jacksonville make the case for a new flight. Los Angeles Mayor Antonio Villaraigosa supports the effort for a direct flight between the two cities, Jacksonville Mayor Alvin Brown said recently. “He said, ‘Your airport needs these direct flights to [Los Angeles International Airport],’ ” Brown said. Support from city officials in San Juan, Puerto Rico, helped the aviation authority persuade JetBlue to add a daily flight from Jacksonville. Before the Jacksonville flight to San Juan, Jacksonville business executives going to Puerto Rico would have to drive to Orlando to catch a flight. JetBlue undergoes a thorough process to ensure a new destination or route will be sustainable for the long-term, a March JetBlue blog said. Halverstadt meets with airline representatives, route planners and attends networking events about a dozen times a year. “It’s like speed-dating for airlines,” Halverstadt said. The airline industry is plagued with overcapacity, which has contributed to consolidation, Martelle said. United Air Lines Inc.’s merger with Continental Airlines two years ago created United Continental Holdings Inc. and has garnered mixed reviews. Southwest Airlines and AirTran Airways merged in 2011. There are more seats right now than passengers on many flights, so airlines want to add routes where they can fill as many seats as possible to cover operating costs, including fuel. “We expect that it will start slow and build over time,” Martelle said. If a market doesn’t materialize, the route will likely be dropped. American Airlines operates several flights between Dallas and Jacksonville several times a day, but it canceled flights from Los Angeles to Boise, Idaho, due to lack of demand. Martelle couldn’t narrow down the time frame for evaluating a route’s performance, but said the airline is always monitoring ticket sales even before service begins to make sure it matches set benchmarks. “We need to maximize every flight,” Martelle said. 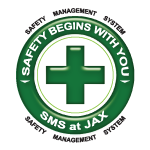 The JAA can capture data about passengers who fly in and out of the airport, but not Jacksonville travelers who don’t use JIA. JIA offers 27 nonstop markets daily, including to San Juan, Puerto Rico; Baltimore; Las Vegas; and Detroit. Direct flights go to all the major airports including New York and Washington, D.C. Jacksonville also includes flights to major hubs, including Atlanta, Chicago and Miami. AirTran said in November 2011 that it will stop offering service in several cities in June including Knoxville, Tenn.; Normal, Ill.; Charleston, W.Va.; Miami; and Dulles International Airport in Washington, D.C.
JetBlue said its process is to create a forecast based on U.S. Department of Transportation traffic data, the number of passengers who travel the route each day and an analysis of existing fares and service. The airline calculates payload capacity on each route based on competition at each airport and also gets input from local crewmembers on regional traffic patterns. Many departments in the company have to sign off including marketing, finance, safety and security. JetBlue also gets input from local officials, airport development teams and private stakeholders. “The airline industry is extremely competitive and we only enter markets where we are willing to fight for our share and are able to win the loyalty of more customers in the new city,” the JetBlue blog said. The JetBlue flight to and from San Juan is successful, said Allison Steinberg, senior media analyst for JetBlue. The route seems to be popular for both leisure and business travelers, visiting friends and relatives, as well as for cargo. 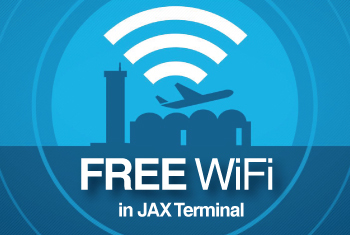 “We’re extremely pleased with the success of our service between Jacksonville and San Juan and value our great relationships with the local communities at both destinations,” Steinberg said.